We've added a new homeschool art curriculum to our school day from ArtAchieve! The kids have been working through the lessons in the Entire Level I bundle. This has been a fun review for everyone in this house. ArtAchieve is an art curriculum that teaches art but also crosses over to other subject areas like geography, cultures, science, and more. The author, John Hofland, homeschooled his children as well. There are five different levels and each level has multiple lessons. Each lesson is presented with both a video and a power point presentation. The lessons include a warm-up, supplies list, list of rules, detailed step-by-step instructions, and suggestions for cross-curricular subjects. Level I is for about grade 1 through adults. Most of the lessons in level I only require paper and markers. Our favorite lesson included oil pastels and watercolors! The lessons are presented in both power point presentation as well as video. Each lesson comes with a warm-up to print out as well as a drawing reference page to print out. It is also suggested to listen to music in order to concentrate on the art. The list of rule are to help the kids feel confident in their own art and are great to go over before each project. I looked through the power point presentations, but decided upon using the videos with the kids. It held their attention and had more in it than the power point so I knew it was a better choice. 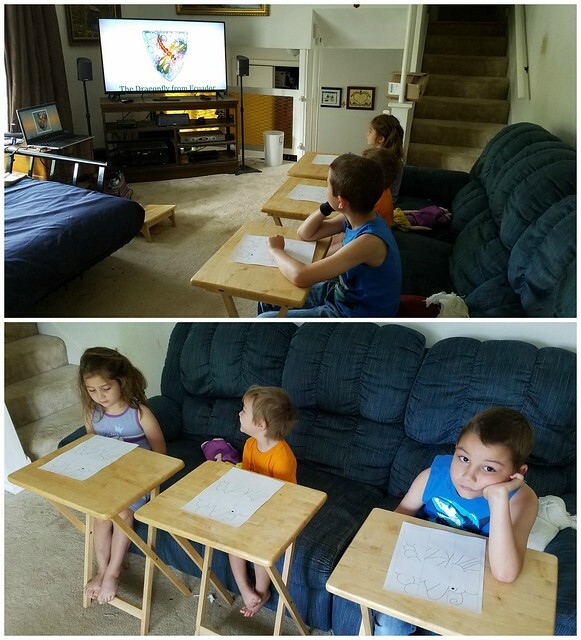 I hooked our laptop up to our TV and let the kids have fun with the lessons. I didn't watch them too much but did pause the video on occasion to let them take their time on their projects. We didn't do the lessons in order and instead I let them pick the lesson they felt like doing that day. We did one lesson a week because it did take a decent amount of time, but the kids would have loved to have done it every day. The kids enjoyed the videos. The kids also LOVE art projects so I knew they would enjoy these projects. The videos are a little over 30 minutes and with the pauses to work on their projects, it took them about 45 minutes to do their projects. They had no problem paying attention for that long. It was easy for me because I didn't have to actively teach. I had all the supplies on hand so it wasn't a stretch for me to get this curriculum going. The kids made dragonflies! 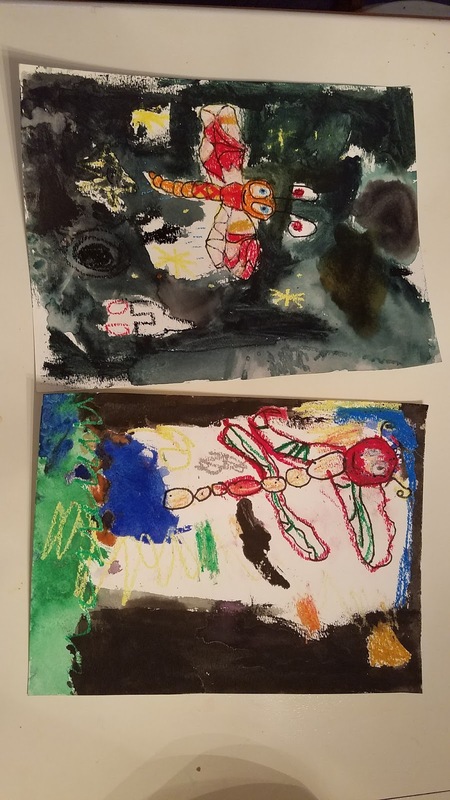 They decided they wanted their dragonflies in space. Each individual lesson is $4 for a year license. The entire level I bundle, which includes 11 lessons, costs $27 for a year license.